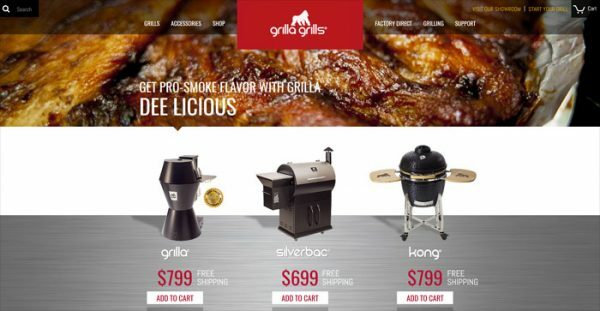 Grilla Grills are state of the art pellet smoker grills and kamado grills that look as good as they cook. The three designs: The Grilla smoker grill, the Kong kamado grill, and the Silverbac wood pellet grill are used by amateurs and competition BBQ cooks. The site functions both as an ecommerce store as well as an educational site with recipes, grilling and smoking tips.